This gladiator is out for revenge on the Emperor of Rome himself! 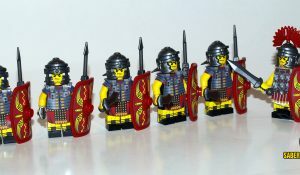 He may be a slave in the arena, but he has the favor of the Roman mob on his side. 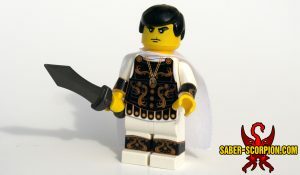 Are they not entertained? 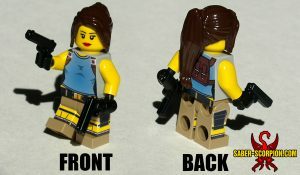 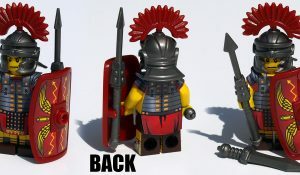 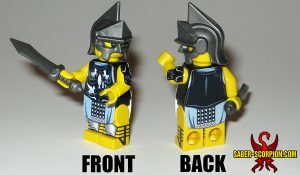 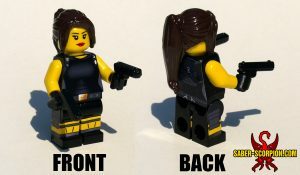 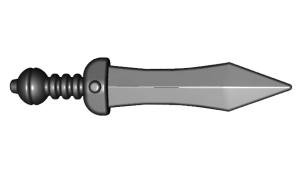 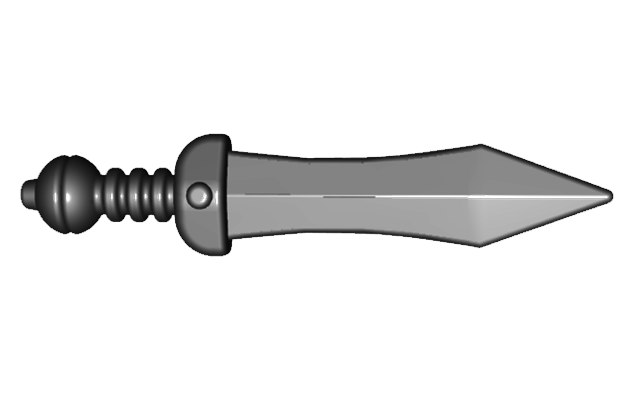 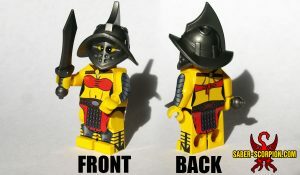 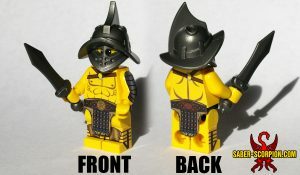 NOTE: If “light flesh tone” skin is chosen, legs will be BLACK with light flesh tone stickers around them, similar to the Roman Legionary minifigure. 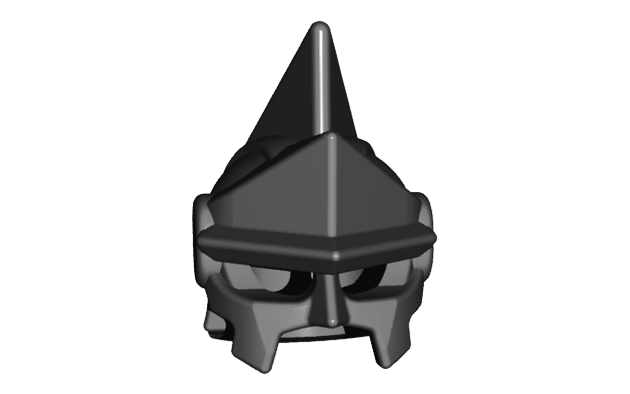 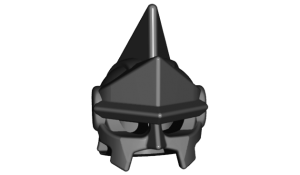 With its intimidating angular design, this gladiator's helmet inspires fear in his enemies!